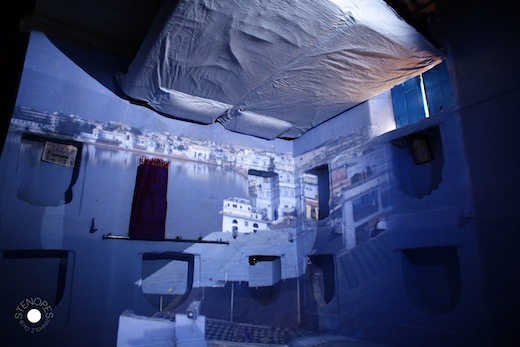 Stenop.es is a project by Romain Alary and Antione Levi, creating videos from time-lapse images taken within a camera obscura. "An apartment is completely darkened. A hole is made in a window, letting lights from outside coming in. 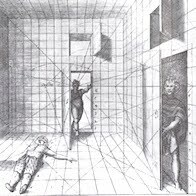 Projections are taking place everywhere inside.‬"
Literally translated, the Italian term 'camera obscura' means a dark room. 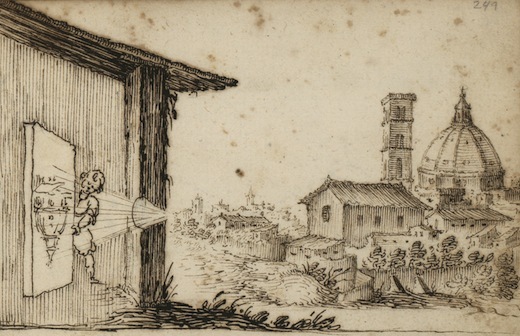 Early camera obscura were used by artists as a means to create accurate perspective images. More portable devices became known as pinhole cameras and share the same optical principles as modern cameras. Romain and Antione are currently looking for other locations for movies. Make suggestions here.